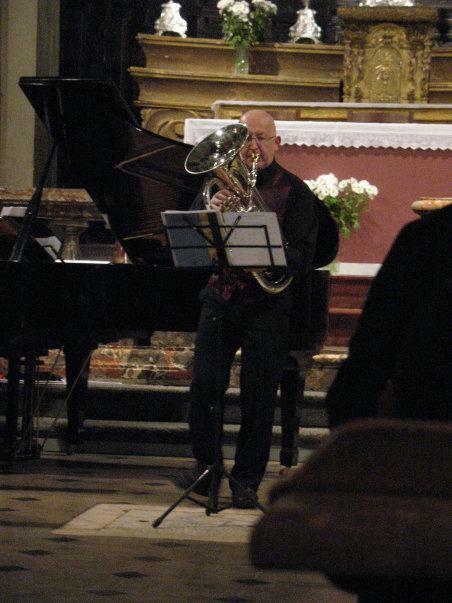 At the invitation of the music association Anbima, Steven Mead returned to northern Italy for the 4th in an annual series of masterclass and recitals for the low brass players of the region to the north of Milan. 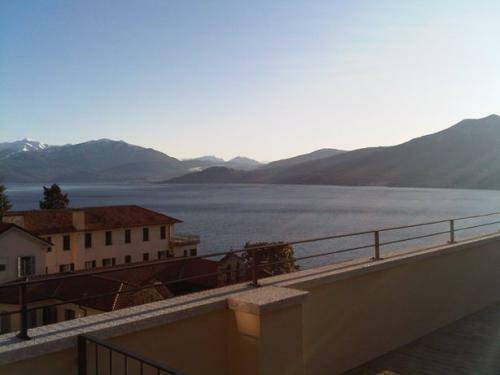 "This year the day long course was set on the edge of Lago Maggiore, in the town of Ghiffa. A large and enthusiastic group of students from ages 12 to 75 studied with Steve all day , from early breathing exercises, to mouthpiece work, oral cavity expansion exercises, tone production, sound enhancement, range building exercises, flexibility work and then onto daily routines and drills. With around 30 students taking part and around 20 listeners there was a terrific atmosphere all day, enhanced by a spectacularly good lunch at 1pm. Feeling refreshed the studies continued in the afternoon, with 6 of the musicians performing solo works for Steve in front of the assembled group. To conclude the afternoon session the combined group worked on and then performed the Dances by John Stevens. Ending around 5pm with presentations and speeches, Steve was rushed 10 klms to rehearse the entire programme for the evening recital with the outstanding local pianist Roberto Olzer. It was clear to Steve from the outset that the evening recital was going to be something special , even given the rigours of the long day, as Roberto was immaculately prepared, with great technique and musical flexibility. And so it turned out ! 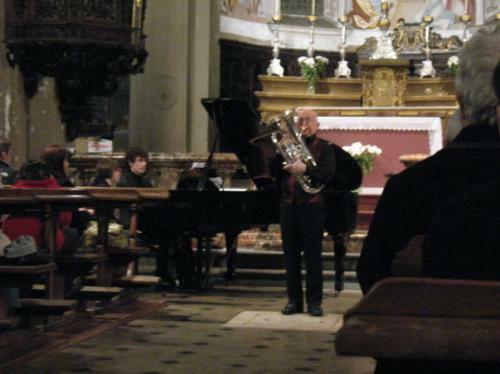 With around 200 people in the beautiful old church near Verbania, the recital was one of the best Steve has even given, with enthusiastic standing ovations greeting the final pieces. The rich singing tone of Steve's Besson Prestige rang around the ancient church to startling effect. The technical pieces left many of the musicians literally in awe ! Speeches and presentations concluded the evening and what had been a quite remarkable day in the north of Italy. All the musicians returned home motivated and enthused with what they had experienced during the day and evening concert. 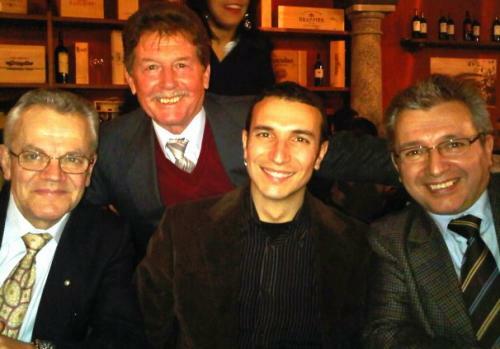 Thanks go to Fabio Pardo (Salesman for Buffet Crampon for Italy) and Aldo Picchetti (Anbima- Piemonte) and all the euphonium players of the region for making it such a great success. 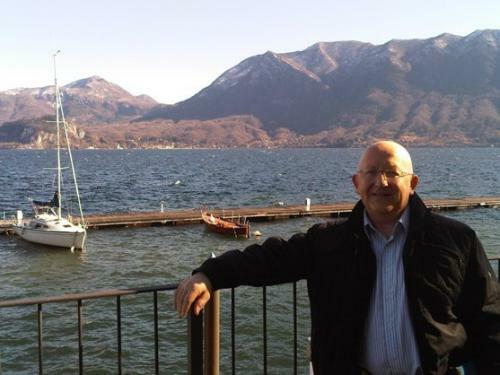 Steve's next visit to Italy will be on 24/25th April, to Calabria, in the town of Laureana di Borrello." view from the hotel ! !